This protocol can be completed as a whole class, small group, or individually. Review topic, lesson, idea, etc. with the whole group. 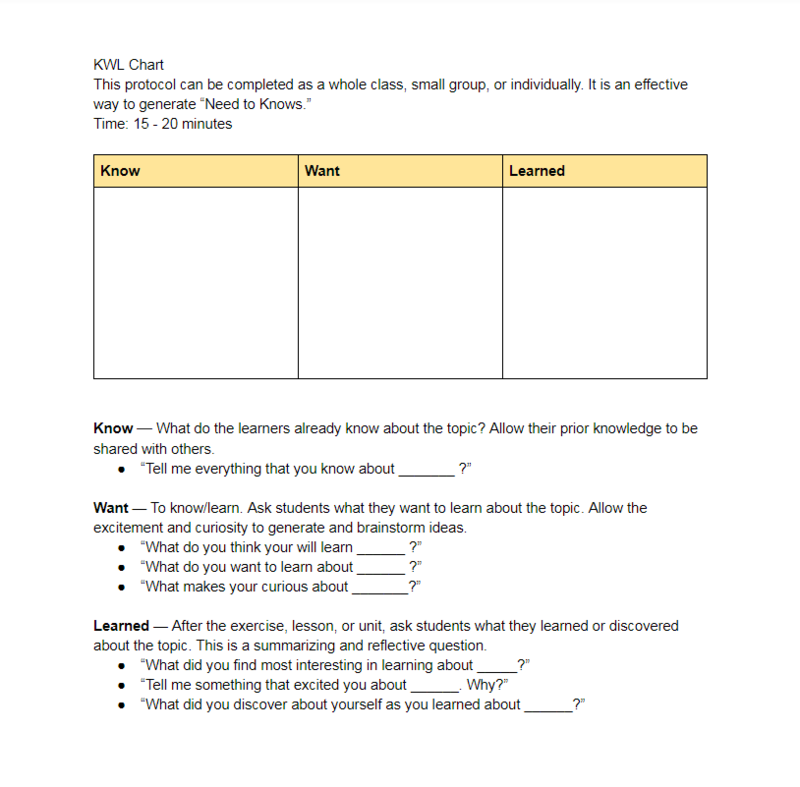 Have learners fill out or contribute to the “K” column. (Pick a time that is suitable for the class and activity). Have learners fill out or contribute to the “W” column. Use guiding and seeding questions to pull out more ideas. ​(Pick a time that is suitable for the class and activity). Have learners fill out or contribute to the “L” column. Collate the results in this column so learners can see the groups overall learning. (Pick a time that is suitable for the class and activity). Celebrate the learning with the whole group​.